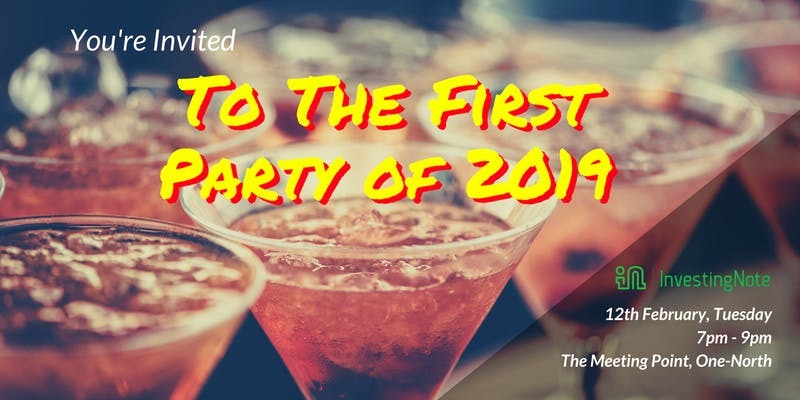 The BIGGEST CNY Party of 2019 For The Retail Investors' Community! The BIGGEST CNY Party of 2019 For Retail Investors! Hi everyone, we’re having The CNY Gathering Party for the New Year, exclusively for our Community! Join us for an evening of fun, networking and sharing sessions as a part of our community. Meet up with our veteran community members, financial bloggers and community bloggers in person! First come, first served basis. Limited slots only. Sign up early! Use promo code: CNYHUAT to get $3 OFF! *Kindly note that payment is only via Eventbrite. People who did not register will be turned away at the event due to limited slots.